There’s so many games out there at the moment, most of them free, that you really need a USP to get you through the masses. USP stands for unique selling point, and essentially is tech-speak for something which makes you stand out from the crowd. In the world of apps and app marketing, the USP becomes even more critical. Even in your chosen genre, there are bound to hundreds, if not thousands of other games, all vying for customers’ affections. So when it comes to city building games the idea of setting the whole thing under water is a pretty nifty one. Especially when it comes with a nifty title like Aquapolis. And especially when you combine that city-building goodness with elements of action, adventure and mystery. And extra especially when you furnish the whole thing with a narrative arc and central characters. Yes, Aquapolis is out now for iOS and Android, and if you haven’t guessed already, I’m a bit of a fan. The ambition present in the game is astounding, and to give it all away for free is bordering on over generous. There’s everything here a fan of the city-building genre could want. The system for construction is simple to learn but expansive to incorporate. You’ll also have to balance harvesting a food source for your city’s inhabitants. Build it too big and you’ll starve your citizens. Focus too much on farming and your industries won’t be sustainable. 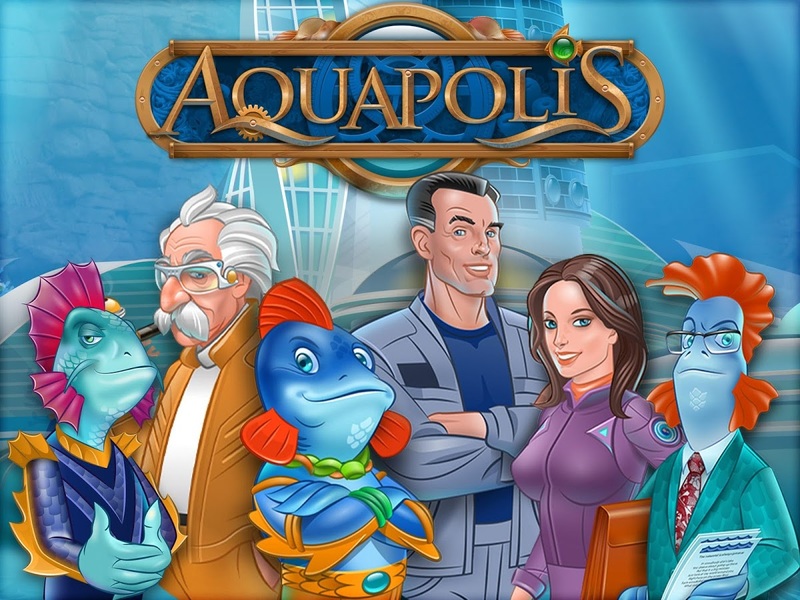 Like every good game of the genre, Aquapolis delivers the excitement and pressures of managing your very own city. This one just happens to be underwater. Speaking of which, the design of the game is pretty damn brilliant. A true feast for the eyes, with the seabed location adding a kind of otherwordly splendor to the proceedings. The sound design is pretty cool too, while the cutscenes and characters really go a long way towards building a full world. The narrative follows three astronauts, Lana, The Professor and The Captain, who return from a voyage to Neptune to find the Earth overrun with a blue species of alien, and more predominantly, water. Water, water, everywhere. They form an alliance with the strange blue creatures and work together to uncover a series of mysteries that will hopefully tell them how Earth came to be so…flooded. There’s also the option to play with your friends via Facebook, and the game rewards loyal players with daily bonuses. Once you get your head around the building mechanics and farming techniques (flour production being one of them, and incredible task under the circumstances), the game really starts to flow. Always a pleasure to delve into, this is a game with wide-reaching appeal. Check it out. Journey seven thousand leagues below to the App Store or Google Play to get your fins on Aquapolis today for free!